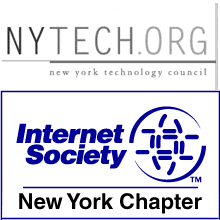 The Internet Society New York Chapter (ISOC-NY) is now supporting other organizations that share our vision of open technology for social good. Today, Tuesday, December 1, ISOC-NY sponsors our first crowdfunding campaign as part of #GivingTuesday, a global campaign for charitable giving as an alternative to Black Friday. #SharetheNet will fund Apretaste, an initiative that brings Internet access to Cuba, and NYC Mesh, a wireless community network in NYC. This is a critical point in the evolution of the Internet:Will the Net remain open and accessible to all – or locked down by repressive governments and corporate monopolies? Empower Internet users to build their own Net and share it! We’re asking your help to raise $152,000 in 24 hours to to make this happen. Every dollar you give helps the open Net. This is also a critical point for ISOC-NY – we’re asking for your help so our Chapter can take the lead in building an Internet that is truly for everyone. There are many ways to get involved in #GivingTuesday. I encourage you to join the movement and visit www.givingtuesday.org to learn more about how you can make a difference. 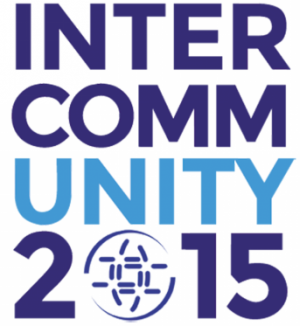 Next Tuesday/Wednesday July 7-8 2015 the Internet Society will be holding InterCommunity2015 – the first online meeting of our entire 70k+ global members. Session 1 on Tuesday will be optimally timed for participation in the Western Hemisphere and ISOC-NY will be one of several Chapters setting up “nodes” (= remote hubs) to participate. We will meet at Civic Hall starting at 2pm, and the session will run 3pm-6:30pm. After which there will be a reception. We are honoured to be joined in person by ISOC VP of Global Engagement Raúl Echeberría, who will address the global meeting via our node. Space is limited but all ISOC NY members are invited to attend. Please register via our meetup. It is also possible to individually participate remotely in the Global Meeting (including the Session 2 – 2:00am EDT on Wednesday). 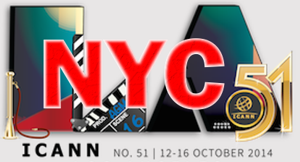 MEETUP: NYC Remote Hub for ICANN 51 – Thursday Oct 16 2014 – Register Now! On Thursday October 16 2014 the Internet Society’s New York Chapter (ISOC-NY), Connecting .nyc, and the Brooklyn Law Incubator & Policy Clinic (BLIP) will host a Remote Hub for the 51st Meeting of the Internet Corporation of Assigned Names and Numbers aka ICANN 51, taking place in Los Angeles. The hub will be fully interactive, with 2-way video, and participate in 3 sessions. Plentiful refreshments will be supplied, courtesy of ICANN. Please register via ISOC-NY’s meetup, or by emailing admin@isoc-ny.org. On Wednesday May 21 2014 at 3pm the Internet Society’s New York Chapter (ISOC-NY) and RECLAIM.CC, as part of Internet Week NY, will present Libtech NYC 2014 – a half-day conference to “envision, learn, share and build robust, decentralized networks through participatory systems.” There is a voluntary fee of $12+ to attend in person, and a free webcast via the Internet Society Chapters YouTube channel. Groucho Fractal and Scott Beibin; Beyond The Grid with video artist Paul Garrin with Nicole Brydson of Misfit Media; Veteran attorney activist Stanley Cohen; Cyber-reformer and intelligence professional Robert David Steele on intelligence in the public interest; Nate Heasley with goodnik; Sandra Ordonez with Open Internet Tools Projects (openitp); Nick Farr – hackers on planet earth; Reactor (Josephine Dorado and Jeremy Pesner); David Solomonoff with the Internet Society of New York; Bruce Lincoln & Clayton Banks envisioning the technological future with Silicon Harlem; Thomas Lowenhaupt of connectingnyc.org; Ted Schulman and the open source imperative; Ted Hall and seedball; culture change campaigns with Fred Sullivan and the man-up campaign and communities of practice including arc 38 and Brooklyn the Borough. 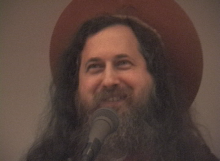 On Saturday August 3 2013, Richard M. Stallman, author of the EMACS text editor, inventor of the GNU operating system on which Linux is based, and founder of the Free Software Foundation, will be inducted into the Internet Hall of Fame. Two days later, on Monday August 5 2013 he will be here in NYC to speak at an Internet Society New York Chapter (ISOC-NY) and hackNY sponsored event at the Courant Institute at NYU. Richard Stallman will address the NYC technological community, including hackNY’s summer fellows, on the importance of utilizing and creating free and open software solutions, and opposing restrictive intellectual property regimes. The event is open to the public and attendees are encouraged to register via the ISOC-NY meetup link. It will be recorded for later webcast. 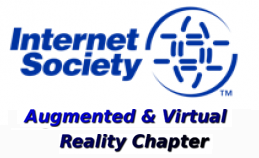 Members of the Internet Society’s New York Chapter (ISOC-NY) are actively engaged in helping form a new Augmented and Virtual Reality Chapter. The first associated event will be a joint meetup with the ARNY – Augmented Reality New York this Wednesday April 24 2013. This is a well-attended monthly event with a full program of briefings and demos, and should be an eye opener for anyone wishing to learn more about this field. ISOC-NY is a 501(c)3 corporation, chartered by the Internet Society. Under our By-laws we have to hold an election every two years for our various offices and board of directors. The current officers and directors terms were supposed to end on July 31 2012, and fresh terms beginning on Aug 1. However due to procrastination – July was a busy month- the election has been put off til now. But we should get it done in the next two weeks. Newly elected officers and directors terms will be backdated a month! So, this leaves us just a matter of days to hold the 2012 election, so we’d better get on with it!! Only the Secretary and Treasurer are permitted to hold more than one position. There is a minimum of 7 directors and a maximum of 15 directors. If you look at the Community Portal you’ll see we currently have 10 directors. 1) ISOC-NY BOD list, where we hash out the nitty gritty of ISOC-NY activities and policy. 2) the North American Leaders regional list, where we share thoughts with our fellow USA Chapters. 3) the Chapter Delegates list, where we share thoughts with our chapter colleagues around the world. So, we are looking for nominations! Self-nominations are fine. Just one thing, please make sure that you are a member of the chapter! This can be done by going to https://portal.isoc.org/EBusiness/Home.aspx and checking your status. If you’re not, just join – doesn’t take a mo’! Then send your name, with a brief statement of interest saying why you’d be a good director, to mailto:nomcom@isoc-ny.org before midnight next Tuesday Aug 21 2012. If you are also interested in standing for one of the offices say so. You will then be approved, or not, by the nominations committee. 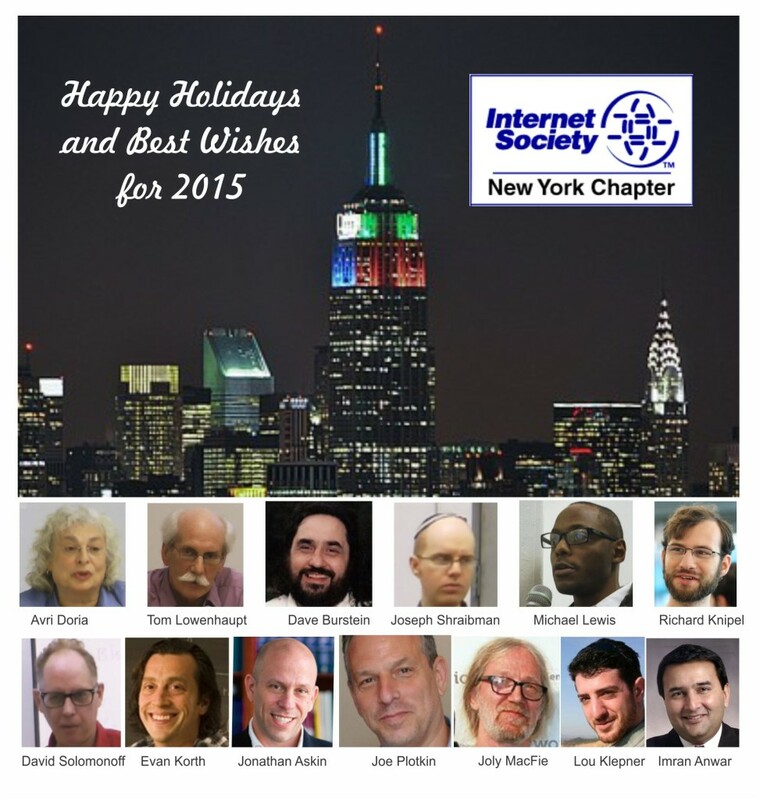 Similar to last year’s successful NYC event, on Wednesday June 6 2012 ISOC-NY will present an informal discussion and celebration meetup at NYU starting at 7pm EDT. 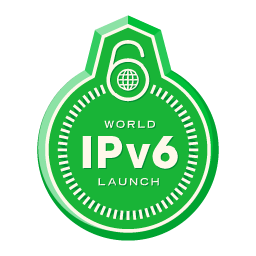 Among those attending will be Phillip Koblence, VP Operations (NYI), and Sagi Brody of Webair who will both give a brief talks on their company’s IPv6 implementation efforts, after which we will repair to a nearby drinking establishment for social activities. 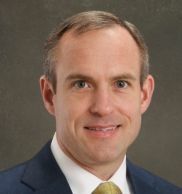 On Tuesday, April 3rd the Internet Society’s New York Chapter (ISOC-NY) will meet with new North American Regional Bureau Director of the Internet Society, Paul Brigner. Paul has worked on policy at Verizon, and is the former CTO of the Motion Picture Association of the America (MPAA), in both of which roles he has advocated positions that might not absolutely concur with the prevailing outlook at the Chapter. He is also an active member of the Internet Engineering Task Force (IETF). This will be an opportunity to talk to Paul about his views, ways in which the global organization can build better working relationships with its Chapters, and means of furthering ISOC’s mission of promoting an Open Internet. The Harlem Internet Computer Access Program (HICAP) is a volunteer program to train Seniors in online skills, now in its 3rd year, funded by an Internet Society Community Grant. The Internet Society has also commissioned the inspirational video you can view below. The New York Technology Council and Internet Society New York Chapter (ISOC-NY) on Jan 5 2012 will present a joint event “New Techniques for Protecting Cloud Data and Security” – a review of new research, including techniques for data encryption and management, that promises to make the cloud a safer place. The event is free. Please be sure to register at the link below. Who: Free for ISOC-NY & NYTECH members. Free for non-members.